After thinking long and hard about it, you’re ready to sell your home! You’ve found your agent, you’ve filled out the paperwork, and the sign is now in your front yard. But besides people driving by your home and seeing that ‘For Sale’ sign, how will other potential buyers see this new listing? We have many different marketing strategies to share your home with local, and even global buyers. Marketing isn’t the same as what it used to be, it’s changed a lot over the past ten years. 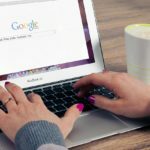 A joint study performed by The National Association of Realtors and Google says 9 out of 10 people use the Internet as a primary resource when searching for a home. We take advantage of this and market your home on 200 different websites, with the help of MLS – Multiple Listing Service. MLS reaches out to other agents that may have potential buyers looking for a home like yours. We share your home on many different websites, but we also focus on the quality of websites. 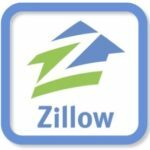 You can find your home on websites such as Zillow, Realtor.com, Trulia, and Abilene Reporter News. We’re also a part of Leading Real Estate Companies of the World, an association that helps you find global listings through different real estate companies. Also, our personal website displays all the needed information and more, with high-quality pictures of your home, sign-ups for email alerts, saving favorite properties, etc. The website is also mobile friendly, because almost 90% of home buyers use mobile search engines throughout the home buying process. 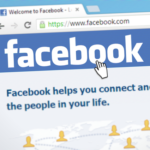 Advertising on social media is a great way to spread the word about your home. We use popular social media platforms such as Facebook, Instagram, Twitter, and even Google+ and LinkedIn to post about your hot new listing on the market. It’s perfect for people to like, comment, and share your home, allowing your listing to reach out to a bigger audience. Online marketing has skyrocketed over the past few years, but we don’t forget about our traditional marketing, meeting new people face to face. We will hold an open house for your listing for home buyers to come tour the home, and even sometimes hold an open house just for Realtors to tour. We’ll also send out postcards and flyers to target a certain demographic or group of people, whether fellow neighbors or other neighborhoods. 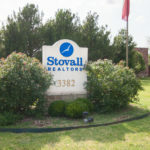 At Stovall, Realtors, we’re here to assist you in the best way possible to help sell your home, and that includes marketing it in town, through our social media, and throughout the world wide web.